Undara Experience offers a series of packages including tours of the Undara Lava Tubes and other areas of interest in the Gulf Savannah region. Coach transfers and self-drive or self-drive/hire car options are available as indicated. The best way to sample the Outback at a budget price. Enjoy authentic outback hospitality, discover the Undara Lava Tubes and meet Aussie wildlife in its bush home. 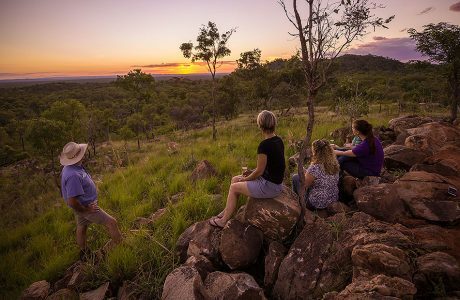 Undara is Australia’s Accessible Outback, just a short drive from Cairns and you are in the wide open Savannah Country, not to be missed! Tour Code: 1SDDBB Available April to September. Download package information. Sample the Outback. Enjoy authentic outback hospitality, discover the Undara Lava Tubes and meet Aussie wildlife in its natural bush home. Includes lunch, dinner, Bush Breakfast, Wildlife at Sunset Tour and Archway Explorer Tour. Overnight in award winning Railway Carriage Accommodation. Tour Code: 1UNG Available April to September. Sample the Outback. Enjoy authentic outback hospitality, discover the Undara Lava Tubes and meet Aussie wildlife in its natural bush home. Includes coach transfers from Cairns, lunch, dinner, Bush Breakfast, Wildlife at Sunset Tour and Archway Explorer Tour. Overnight in award winning Railway Carriage Accommodation. Tour Code: 1UNCG Available April to November (Departs Monday, Wednesday & Friday). Download package information. Explore Australia’s Accessible Outback at a holiday pace. 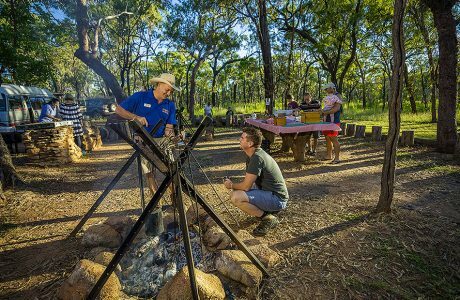 Enjoy authentic outback hospitality, discover the Undara Lava Tubes and meet Aussie wildlife in its bush home. Includes lunch, dinner, Bush Breakfast, Wildlife at Sunset Tour and Archway Explorer Tour. Overnight in award winning Railway Carriage Accommodation. Tour Code: 2UNG Available April to September. Download package information. For those contemplating self-drive options, the road to Undara is fully sealed and the journey can be travelled comfortably and safely by conventional vehicle. Travel times are 4 hours from Cairns, 5 hours from Townsville and 2 hours from Georgetown. Savannahlander – to book please contact 07 4053 6848 or visit their website. 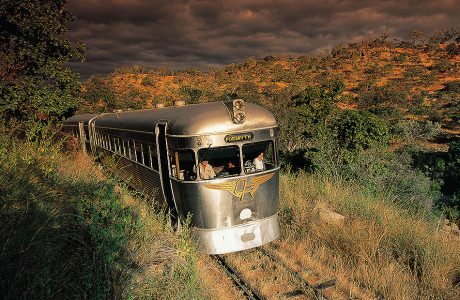 The popular ‘Savannahlander’ train travels the original 90 year old rail line that serviced the pioneering mining towns of Forsayth, Einasleigh and Mt Surprise. Slowing and stopping regularly, there are plenty of opportunities to observe and photograph the flora, fauna and unique geological features encountered on this historic journey. Cobbold Gorge – to book please contact 07 4062 5470 or visit their website. 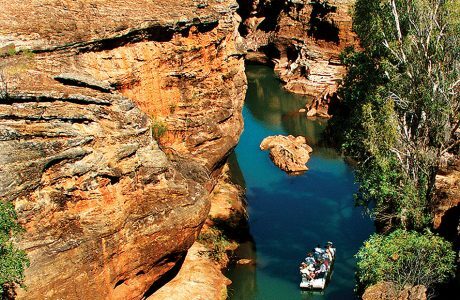 One attraction not to be missed is Cobbold Gorge, created by nature over the past 135 million years. Countless wet seasons have spilled torrents of water through the narrow ravines, carving out deep gorges and permanent waterholes at the foot of spectacular towering cliffs. The gorge is a perfect habitat for native animals, including occasional sightings of the harmless freshwater crocodile.